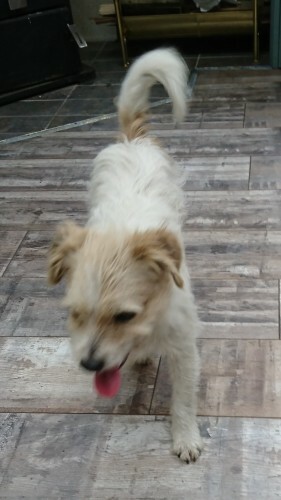 Dog found on the junction of n81 and city west today at 3pm. No collar, not chipped and not neutered. All white with tan face and tan on his bum.